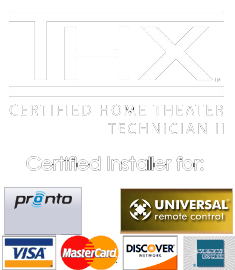 Ask us how to reduce sound leakage from your home theater or recording space by as much as 75%. 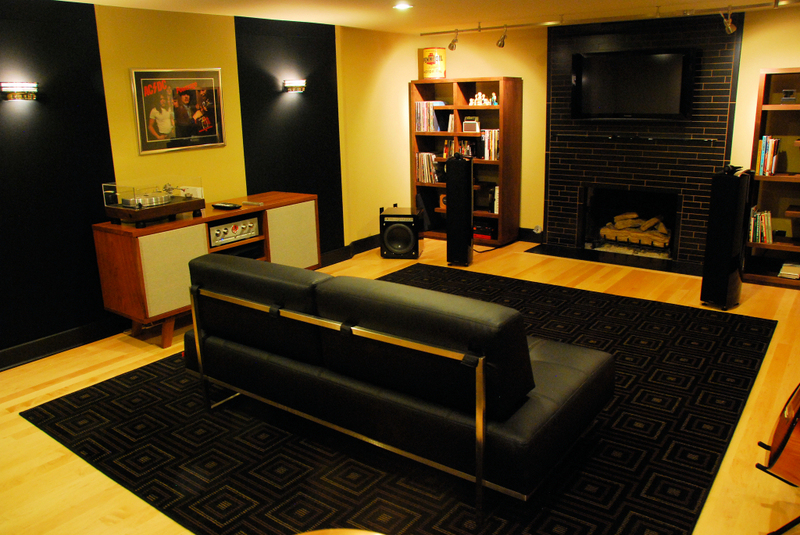 The most effective interior noise control has always been the room within a room design. Innovative and cost-efficient sound isolation products from Kinetics yield room within a room performance without the labor costs, mess and time requirements of traditional designs. Kinetics interior acoustics products are equally brilliant, providing scalable choices that ease the process of acoustic design for residential or commercial spaces. Complete fabric stretch designs or absorptive/diffusive panel systems are are attractive, effective and efficient to execute for the designer. With a choice of 300 fabrics plus the ability to print custom digital images on fabrics, the possibilities are endless. 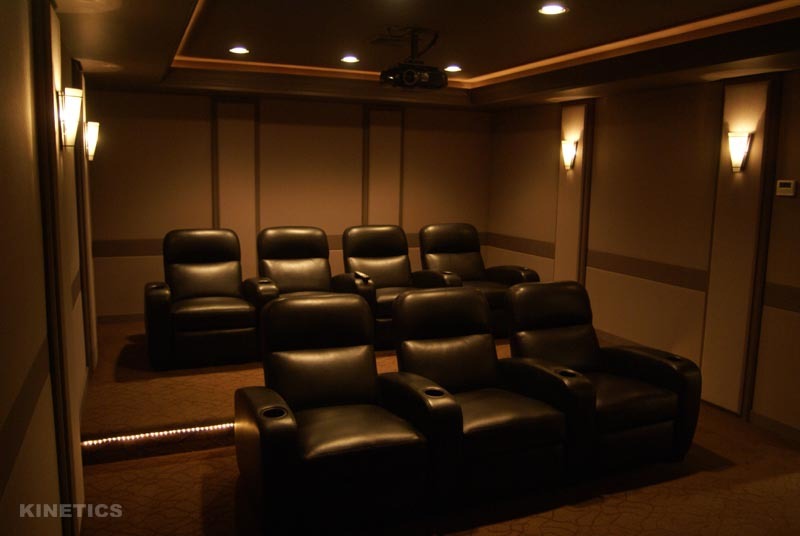 We are one of the few audio video design firms that offer complete in-house acoustic design & construction services for residential or commercial spaces. Call 877 397 0468 today for acoustic consultation or to order Kinetics products.